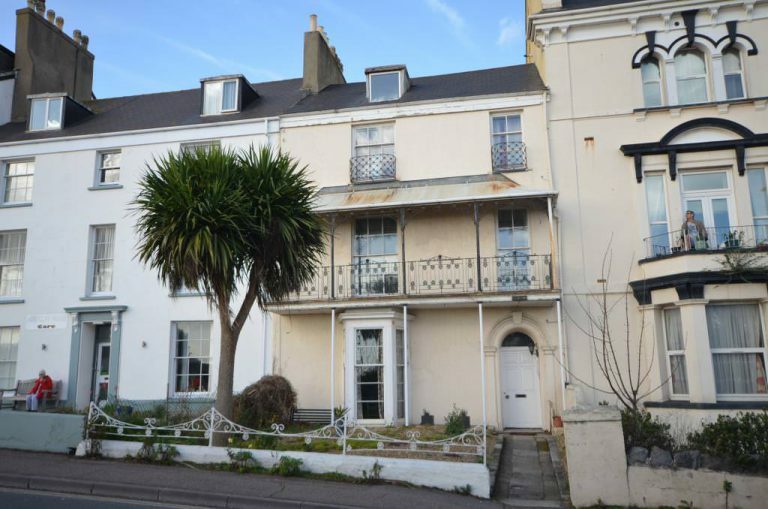 If you are looking for a beautiful sea view property, then look no further than this apartment building in the pretty seaside town of Dawlish, Devon. We are delighted to be offering not one but two properties that form part of this character building. The second-floor apartment and top-floor studio apartment are likely to be of interest to buy-to-let investors and owner-occupiers. They would also make the ideal holiday homes! The front of the building has a pebbled garden that leads towards the front door. On the ground floor is a communal entrance hall and stairs. While on the second floor is a one bedroom apartment. Its private door opens onto a living room, kitchen, and double bedroom with under-stair storage and bathroom. The studio apartment is found on the third floor. Its private front door opens onto the living room, where you will also find a kitchen and double bedroom with a shower and separate toilet. To the rear of the property, there is a shared courtyard. Purchasing either property will give you the remainder of a 999-year lease from 1st January 2013. Not only have the apartments got breathtaking sea views, but the building’s location is less than a 10-minute walk to Dawlish High Street and only 4 minutes to the town’s train station. Dawlish, in south Devon, is a lovely seaside resort town just 12 miles (19km) away from the county town of Exeter. This coastal town has grown from a fishing port in the 18th century into one of the most picturesque spots on the Devon coast. It is one of the sunniest places in the United Kingdom, with an average of nearly 1,800 hours of sunshine per year. Its temperate climate makes it popular with visitors, particularly in the summer. Both apartments go under the hammer on Thursday 13 December at the St. Mellion International Resort in Saltash, Cornwall. The second-floor apartment has a guide price of £65,000 to £80,000 plus fees. The studio apartment has a guide price of £50,000 to £60,000 plus fees. For more information about these properties please call us on 01392 366555. Alternatively, you can arrange a viewing by calling 01626 862379. Five Charity Auctions in Sixteen Days!! April/May Auction Catalogue is out now!